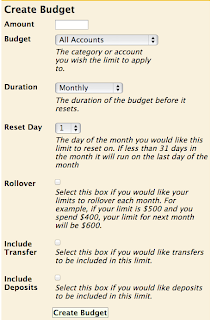 ClearCheckbook is a free online personal finance program. Don’t be mislead by the word “checkbook” because this web based application has the ability to help manage every aspect of your financial accounts including your savings, cash, loans, retirement, and investments. You can access ClearCheckbook any time you have an Internet connection at www.clearcheckbook.com. To start, you simply register and then manually input your accounts and balances. I can categorize all my different types of spending including: bills, food, entertainment, fuel, shopping, etc. This helps me monitor which areas I spend the most money on over time. I’ve been using ClearCheckbook since 2007. It's been a tried and true method of documenting my spending and saving. It’s great for me to look back and see how much I have spent and saved over the last few years. ClearCheckbook stores all of my transactions online and allows me to easily search for transactions based on: date, account, keywords, check number, amount, and transaction type. ClearCheckbook is safe. There is no security to worry about since you are not entering your bank or credit card account numbers on the site, only account names that you create. Clearcheckbook helps me see the “big picture” with all my accounts at once. 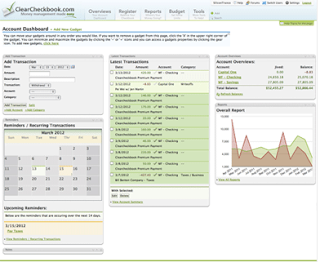 Clearcheckbook allows me to create and monitor my monthly budget. Clearcheckbook can create reports from your accounts and spending categories and turn them into line, bar, pie, and text based reports. It allows me to track where all my money is going over time. Programs like Mint.com are great for monitoring expenses that have cleared your credit card or checkbook, but it does not do a good job monitoring your cash expenses. 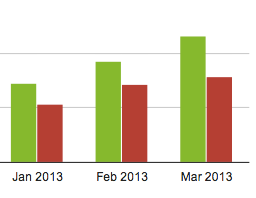 Also, Mint.com only shows cleared transactions. My favorite on the go money app is still Pocketmoney for iPhone, because the interface is clean and easy to use. I'm not recommending Pocketmoney now because their interface keeps crashing now that their main programmer has passed away, and I'm not sure when they're going to update the program again. I still use it, because I've been using past versions of this software on my previous phones and PDAs for over 10 years. It works, just crashes frequently. I will admit that while I love the ClearCheckbook web based program, I absolutely hate their mobile app. I think it’s terribly designed and unintuitive. For desktop and laptop financial balancing, I still prefer ClearCheckbook since it is extremely easy to use and can always be accessed with an Internet connection. I work with people who still get charged with bank overdraft fees because they are not monitoring their checkbook activity. With ClearCheckbook, you can see your overall balances for uncleared as well as cleared totals. 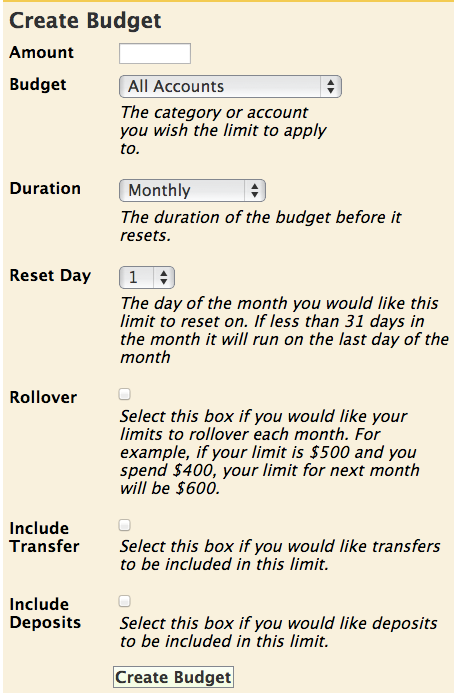 Overdrawing your account won’t happen again. You should always know how much money you have and which transactions have been cleared by your bank. Other great features I haven’t explored include: recurring transactions, bill tracker, and limit setting on your spending. The best part of using ClearCheckbook is that the program is completely free to use. They have a premium version which they sell extra features for, but the free version has been good enough for me for over 5 years. Go ahead, go to www.ClearCheckbook.com and give it a try.